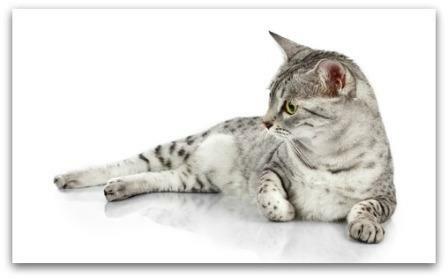 Egyptian Mau cats are the only natural spotted domestic cat breed. All other spotted cats were developed by man. This spotted cat is depicted on murals, paintings and sculptures in the temples of Egypt and date back almost 3000 years. 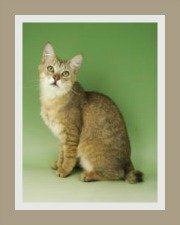 Some experts believe that this Egyptian cat is one of the oldest domestic cat breeds. 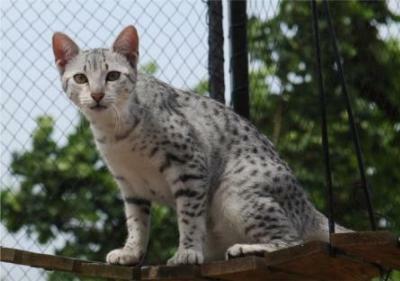 It is possible that the Mau has its origin in the spotted African wildcats which were domesticated by the Ancient Egyptians. Egyptian Mau cats were revered by the Ancient Egyptians. They were not only respected working cats (mousers) and prized pets - these cats were worshipped and at death they were mummified. The modern history of the Egyptian Mau starts in the 1900's in Europe where cat breeders from France, Italy and Switzerland developed the breed. Sadly, after World War II very few cats remained. 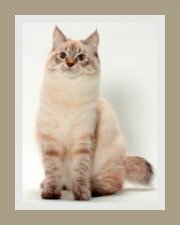 Credit goes to a Russian Princess - Nathalie Troubetskoy who took up the plight of these rare cat breeds in 1956. 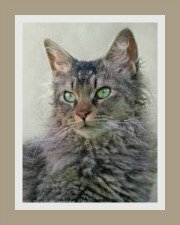 When The Princess left Rome, where she was living in exile, she took 3 Mau cats with her to the United States where she set up a breeding program. The spots on this cat vary in shape and size. The spots can be round, irregular or oblong in shape and can be large or small and randomly spotted. The coat is short with a lustrous sheen and lies flat against the body. The texture of the fur varies according to the color of the fur. 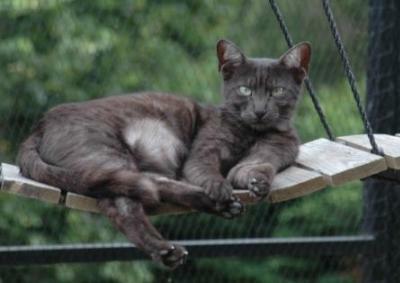 The Silver and Bronze Mau's fur is resilient and dense and in the Smoke color Mau, the fur is fine and silky. In the smoke cat, all the markings are pitch black. The undercoat is white to pale silver, the ground color is pale silver and all hairs are tipped in black. There is a visible contrast between the pattern and ground color. The eyes, nose and lips have a characteristic jet black outline. The silver variety has charcoal-color markings and the undercoat is also white to pale silver. The markings for the bronze variety are a very dark brown - almost black and the undercoat is warm brown. There must be a good contrast between the dark brown/black patterns and the ground color which is a warm bronze. The underside of the cat is a creamy-ivory color. In this instance, the eyes, nose and lips are outlined in a dark brown. Egyptian Mau cats are graceful and well proportioned cats despite the fact that they have very muscular, heavily boned and athletic bodies, necks and legs. The Mau has a medium length tail that is thick at the base and tapers slightly towards the end. 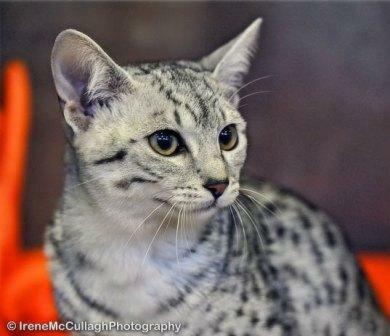 These spotted cats have have almond-shaped eyes and the color always a light 'gooseberry green'. Kittens may have amber eyes which change to green at around 18 months. 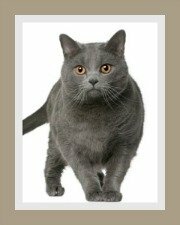 These are active and somewhat boisterous cats that would be best suited to a large, safe and escape proof garden or cat run. They thrive in an adventure zone filled with toys, cat gyms, cat scratchers, tree stumps and non toxic plants. They will adapt to apartment living provided they are not left alone for extended periods or confined. They should only be kept in an apartment if they have the company of other pets and humans. A bored cat can be destructive. Would they suit a home with children? Yes, they are child friendly cats, but younger children need to be taught how to handle cats and kittens. 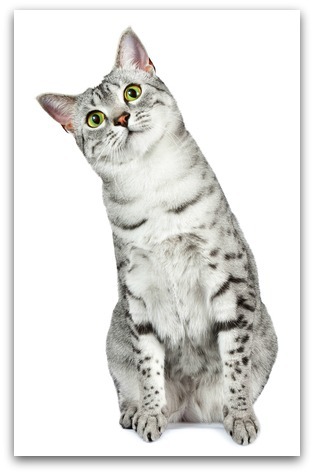 Yes, the Egyptian Mau responds well to other cats and dogs. Always introduce the new cat gradually and always respect the rights of the resident pets. 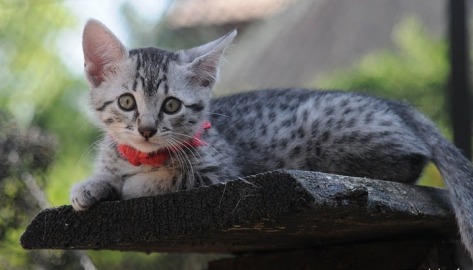 The Egyptian Mau cats are intelligent, lively, playful and active. They are affectionate and gentle with their owners but can be shy and reserved with strangers. These spotted domestic cats have wonderful personalities. They are sociable and gregarious and love the company of their humans and other animals. They are interactive and like to be involved in everything around the home. They love to sit on your lap or even ride on your shoulder. Maus can be possessive of their toys and owners but are exceptionally loyal. Kittens need to be taught that play does not include aggression as they do sometimes respond aggressively. They expresses their happiness by chortling (bird-like chirping), kneading and wiggling their tails furiously. 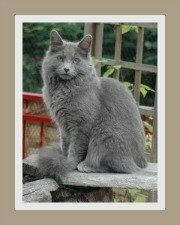 These are striking cats in every respect - with early training and mutual respect you are assured of a loyal companion! The Egyptian Mau is a low maintenance cat breed, but they would benefit from a weekly brush to remove all dead skin and shedding hair. Like all cats they do suffer from the common feline diseases and should be vaccinated annually to prevent these infectious illnesses. They love to eat and if not controlled, they can become overweight. They should be fed a well-balanced diet. The food can be dry, semi-moist, raw or canned. 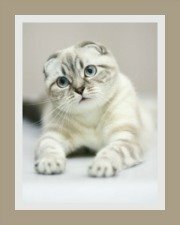 If your cat presents with a food allergy, you will need to visit your veterinarian for advice on a hypoallergenic diet. Fresh water daily is essential. Average weight of the Egyptian Mau? Their average life span is 15 years. Indoor cats do live longer as they are exposed to fewer environmental factors. Good diet, exercise and annual check-ups that include vaccinations, dental care and frequent de-worming will extend your cat's life expectancy.